A flexible stack to position content vertically and horizontally with a background image or background color. Free bonus stack: The Snaps Stack. Create responsive ads, banners, headers, image compositions for your RapidWeaver Stacks page… layer images with text, captions and other Stacks. The Click Show Hide Stack & the Click Show Hide Free Stack toggles content on your page on and off. Translate your site with Google Website Translate. The Google Trans Stack offers some nice extra features: Style the translate button (to match your website) & select the 'translated to' languages. Overview Stack updated with a feature to hide images when working with your RapidWeaver Stacks page in Edit. It'll create a better overview of your text and speed up load times. BreakPoint update: Option to crop & rescale image below breakpoint. New: Define Font Size, Line Height and Link Alignment for link / button below BreakPoint. 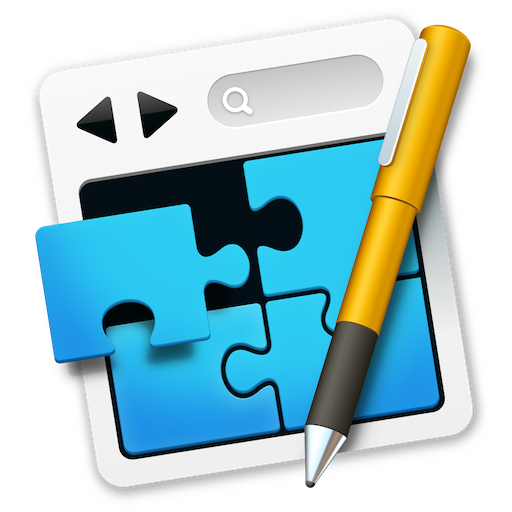 Save 25$ on the RapidWeaver Stacks add-on bundle: Image Stacks. Position any stack on top of a background image with a nice overlay and great positioning control. Layer & animate up to 4 images. Advanced CSS styling options. Use for headers, stylish frames, even buttons. Replace theme background images on the fly. Add opacity and stylish overlay patterns (dots, canvas, lines + more) and load random images from unsplash.it. Center Stack will align your images, text & other stacks in the middle of the screen vertical and horizontal. Turn on image fadein + overlay pattern. The ImageLayout Pro Stack allows you to combine up to 10 images. Viewed on smartphones ‘sidebar’ get’s pushed below image. Layer images with a stylish overlay pattern (dots, canvas, lines + more). Viewed on smartphones text get’s pushed below image. Define how an image is resized and cropped when viewed on desktop screens, tablets and smartphones – by targeting important areas on your image. Gallery Stack with css lightbox and an option to turn the gallery into a navigation bar (add links to each image). Serious about your webdesign? Buy all Stacks on this page and save over $150. Examples from defligra.com can be downloaded on each stacks page. Bundle with all Layout Stacks. Save 45$ on this amazing RapidWeaver Stacks add-on bundle: Layout Stacks. Tell your story with a background images, overlay pattern, images, text, text shapes or… create a sale ad! Best looking tables around – with advanced styling options – and we all need them from time to time! Responsive features: Hide less important cells on smartphones or turn on table scroll. Layer all kind of different stacks. Text, logo, image, buttons, movies on top of a… text, logo, image, buttons or movies. Need to create advanced list? Menu cards? This is the stack – with over 20 stacks to choose from. Show different content for different screen sizes: Computer, tablet, smartphone. Bundled with the Respond Stack that'll allow you to perfect font sizes for all screens sizes. AOne of my own favourites. Advanced iFrame — use it to pull a Blog page into a Stacks page… making it look great too. Comes bundled with the SideCar Stack. Create floating stacks: Floating button bars, floating header bars, floating buttons, floating almost anything. Add borders and soft shadows. Hide the float on small screens. Create great looking price lists in a table like style, but much much much faster to create and update than an ordinary table! 'Stick' a stack to the bottom of the BottomStack and make things look nice and organized in a grid like the Hagrid or Sireco Grid Stacks. Bonus Stack: Equal Height Stack (does pretty much the same but with jQuery). Responsive GoogleMap Stack that expands the map to a full width background and allows you to position stacks on top of the GoogleMap with smooth EyeCandy transitions when BreakPoint is reached. This little TWO STACK BUNDLE gives you both the Backpacker Stack + the Overview Stack. The two Stacks will help you to organize a crowded RapidWeave Stacks pages. The Sticky Scroll Stack will stick Stacks to the top of the window as users scroll down your page. If you need a simple good looking whitespaced site with no advanced features, the Structure Stacks will do just that. J.W.s Foundation Theme works great with the Structure Stack. Use the Target Txt & Color Box Stacks (bundle) to adjust settings for groups of default Text Stacks. Wrap it around groups of text Stacks and style all Text Stacks from the Target Txt Stack. Bonus: Space Master & Servant Stack. Take charge of your white space. Responsive jQuery Stack that allows you to 'stick' a stack to the bottom of the Equal Height Stack throughout a grid / column stack – and make things look nice and organized. Bonus: Bottom Stick Stack (css solution). The TextFit Stack will fit text to the width of the surrounding container – with an option to adjust the width between 0-99% (1% left to avoid line breaks or text crop). All websites depends on headlines & content, text, images. The Headline & Content Stack is a 'theme stack' that gives you an option to layout your Stacks pages faster. Much faster. Options: Control Headline Stacks, Text Stacks, Images, Buttons on the fly, Custom CSS, Overrule Settings. An extremely flexible Stack if you need to split a headline in two like you do, when you need to show prices on your website. But there's much more! All Grid Stacks at a Nice Prize. Save over 30$ on this amazing RapidWeaver Stacks add-on bundle. Responsive Grid – made to be fast and simple… as it can be! Option to turn the entire Grid Stack into one GIANT RESPONSIVE NAVIGATION GRID. Create an Apple like horizontal landscape scroll layout – like the AppStore with this combo two-stack solution – which also includes the CellMate Stack (a special grid stack). Bonus: GoRight Stack (another & better Horizontal Scroll Stack). Add up to 10 columns to your RapidWeaver Stacks page with just one stack. Super simple responsive grid stack + a special 2-column stack for even more functionality. PageLayout Tool with 8 stacks making it easy to create and maintain a boxed layout. You can control all settings from the ‘master stack’ – which makes it a vey fast PageLayout Tool. Flexible and responsive grid system. Add up to 12 columns to your RapidWeaver Stacks page with just one stack. The best & most advanced responsive two-column around. Main feature: One column defined as fixed, one as fluid – option to ‘swap’ the layout from left to right. Bonus: NiceFrame Stack. ReFlow Stack reflows responsive columns with a fixed with. It's a tested Stack with a lot of features and settings and used on many RapidWeaver websites around the world. All Menu & Button Stacks at a Nice Prize. Save 25$ on this amazing RapidWeaver Stacks add-on bundle. Advanced and of course responsive One Level Menu with an option to turn on smooth scroll. A good looking drop down menu stack helping visitors move around your site. You can see it in action at the top or bottom of this page. The MenuList is a Stack that shows your RapidWeaver menu as a list of links either horizontal or vertical. Animated button – when you really want your visitors to follow a link. Buttons with animated icons and advanced css3 styling options. Turn on smooth link scroll for your RapidWeaver Stacks page and jump to different target areas on your RapidWeaver page. Horizontal menu with an option to turn it into a vertical menu or even a button. Style with Google fonts. The ReadMore CSS Stack shows a line or more of text with a button saying 'Read more…' or what you'd like the button to say. Clicking the button will show more text or images. The Navi Stack is a responsive navigation / menu for themes like Foundation, Foundry, FreeStack and other 'blank' themes. A very stylish and different kind of navigation with lots of features to make your website stand out from the crowd. The HiLite Search Stack will add a HILITE SEARCH FIELD to your Stacks page. When your visitor enters a search word or sentence all similar words on page will be highlighted. If you've ever seen StarWars (of course you have) you've seen this iconic scrolling text effect. Free with the StarLove Stack: EasyAudio Stack (HTML5 Stack). May the force be with you! All Action Stacks at a Nice Prize. Save 35$ on this amazing RapidWeaver Stacks add-on bundle. The SidePanel CSS stack makes it easy to toggle a SidePanes on/off. ‘Pan over an image’ animation. Create your own panimations. Stop. Repeat. Infinite. Delay & more. Responsive features to control how it behaves on small screens. The Spinner Stack will take your images for a spin and at the same time make your nice images round. Toggle effect for your website created with pure CSS. Lots of toggle options and cool css-effects. Supports Font Awesome. Scale, enlarge, rotate, animate full width images when web user browses down your page. Animations will fire on hover (or tap on touch devices). The ScreenDesign Stack is created for event sites, music artist sites, sites where you need to add a little extra action to catch the interest of users. Rock'n roll, baby. Load your Stacks page with 3 jQuery effects: SlideDown, FadeIn, SlideIn, SlideFadeIn. Adjust speed and delay. Use the Load Effect Stack to choose which Stacks on your page to load first. A fun little stack you can add anywhere on your screen to draw attention to your website. The GetUp Stack will provide an easy style able 'get back to top' button. Adjust position, bg color, text color. Choose between 15 icons, text, add your own image or logo and even other stacks. Add a flying badge to your RapidWeaver Staks WebSite. Choose from 20 premade or add your own graphics. Welcome to the Free Stacks Section. I love free too. Responsive YouTube Videos – load YouTube Music & Videos on your RapidWeaver site from Youtube and Facebook. Works with Google Calendar too! New August 2017: Added option to add HTML5 video and audio. Wrap the FontAwesome Enabler around other stacks – lookup the FontAwesome Code… start using Font Awesome Icons on your RapidWeaver website. The Toolbox Stacks is a helper Stacks for the Click Stacks and the TextPal Stacks and other Stacks. All stacks added to the Toolbox Stack will be published hidden. Provide a SearchWord Button for your visitors with predefined search words. CSS3 text column. Pure CSS – no scripts. You can define number of columns, column width, gap, divider, breakpoint. Aligning text across a grid – some left, some center, some right… you’ve probably run into the same problems as I have – the annoying space below centered and right aligned text. The AlignText Stack solves this problem. And makes it easy to create small tags. Responsive Web Design is very much about the MaxWidth… what happens when BreakPoints are reached? The Responsive MaxWidth Stack gives you 3 breakpoints with an option to add custom css. Customizable lines. Define thickness, color, shadow. Make it solid, dotted, dashed and more. Turn it into a spacer. Simple and extremely useful. Scale your entire page in either edit mode or preview/publish. A simple and pure CSS FadeIn effect for your Stacks. Lightweight code – no jQuery. Create a nice looking jQuery LinkRotator. Visual appealing effect that’s good for your seo. Store your website colors in your RapidWeaver project in the ColorStore Stack. Build an arsenal of predefined color schemes you can move from project to project. The Annoying Badge Stack and the FlyingBadge Stack allows you to fly content around your screen. Lot’s of fun. Helper Stack for the ZebraTables Stack – when using dropzones instead of text content. Makes it faster & easier to maintain a Zebra Table that is updated often. The Txt B4 After allows you to enter text before and after text content. Fixed height with ‘tender care for small heights’ making it easier to work with small heights on your RapidWeaver website. The PaperWeightCalc Stack will calculate the weight of a brochure depending on height, width, weight of paper. Created with printing shops in mind. Detects what browser the user is using and shows it on your RapidWeaver website where you put the stack. A different kind of toggle stack. It fires every time a click is made on your Stacks page. Use it to draw attention to news or special info. A very useful Helper Stack taking advantage of the new api features of the latest Stacks plugin (3) for the GoGrid & other Stacks. Allows you to add custom css and server hosted images. CSS on the Fly allows you to add CSS to your Stacks content – on the Fly. Previous part of the Consistency Stacks suite but now a stand alone stack. CustomCSS will let you wrap the CustomCSS stack around other Stacks (text, headlines, a lot of 3d party Stacks) and style them with custom css. If you use the Foundation theme you'll know it has overflow problems with the Stacks default columns. The Hide Overflow Stack fixes this. The HideOverflow also works well with the FadeInCSS Stack SlowScale feature and a couple of other DeFliGra Stacks. The Free Easy Youtube Audio Stack makes it fast and easy to add a button that will play the audio of a Youtube video. Just copy-paste the youtube code from youtube. Option to add audio auto play and loop, position, size and add a bg color to the button. The Tivoli Stack will cycle through 4 different background colors and 4 different text colors (text and headlines), with an option to define opacity on hover, you can create a unique and eye catching effect for your images and text. The Messenger Chat Stack positions a button at the right bottom of your website that'll allow your visitors to send a message to your Facebook page through Messenger. All you need to do is to add your facebook name to the Stack. It's really that simple… just make sure that chat is available from your Facebook Page (not your own Facebook Profile). User will arrive at the right spot at the right time… consider buying the Stack Me Stack to take full advantage of the Scroll Snap Stack (Snaps Stack). You can see the Random Number Stack in action at the top of the page. It's simple: Define a low and high number, when buttons is clicked user will be presented with a lucky number. I've used this Stack for a couple of Facebook competitions, where users would draw an number on the Random Number Website. All Stacks are downloaded as Zip-files. To install unzip and double click the Stack to install. Go to top of page. Go to RapidWeaver Blog. All Stacks are downloaded as Zip-files. To install unzip and double click the Stack to install.